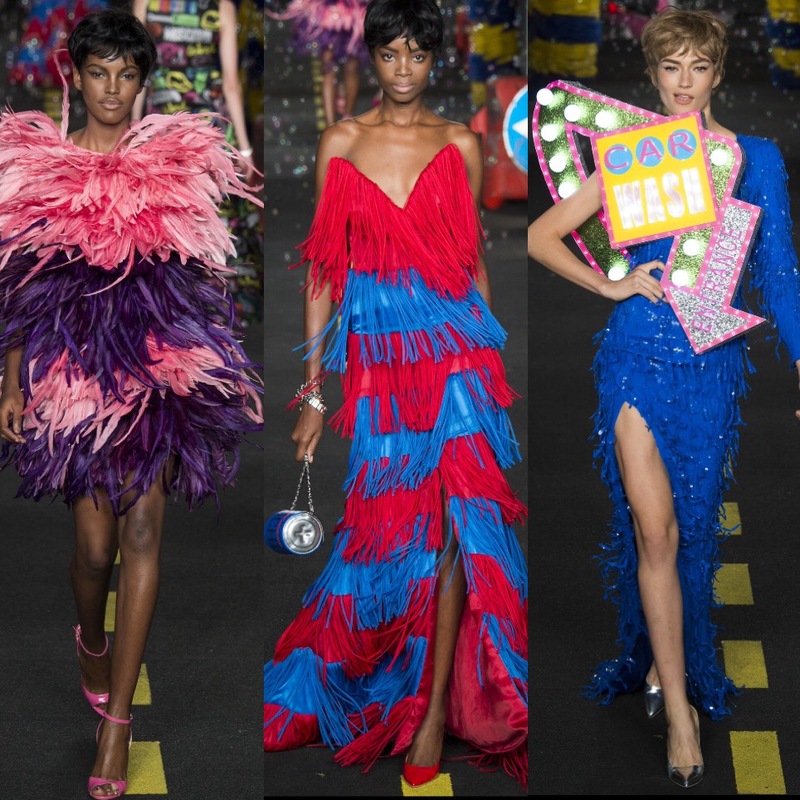 Jeremy Scott really outdid himself in this spring collection for Moschino. Taking inspiration from places you would least expect, like car washes and construction sites, he showed us all that fashion is about having fun. 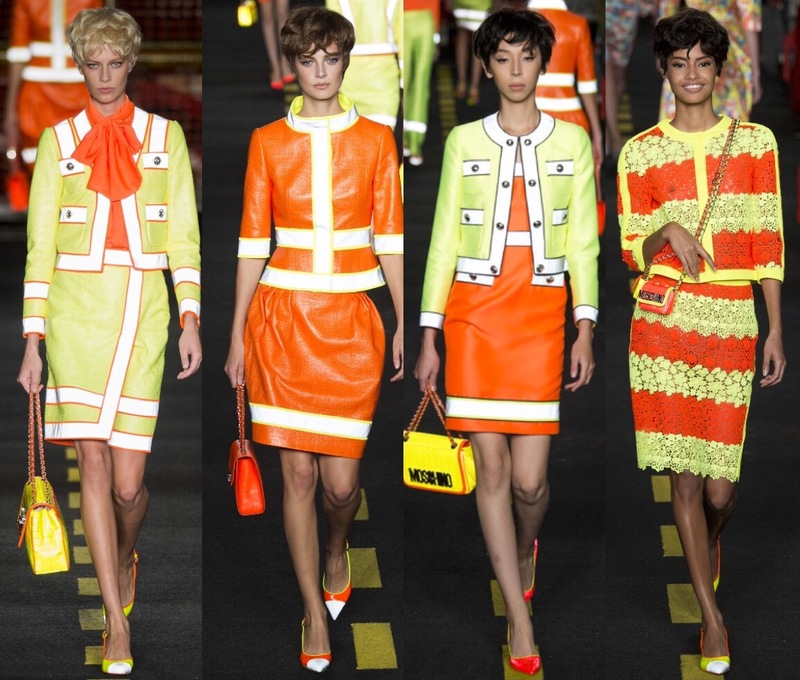 Bright colors from caution tape and cones were the muse behind the color palette on some of the dresses, bags, and shoes. I love the bright orange and yellow lace ensemble, it has the perfect mix of chic with a bit of sass. 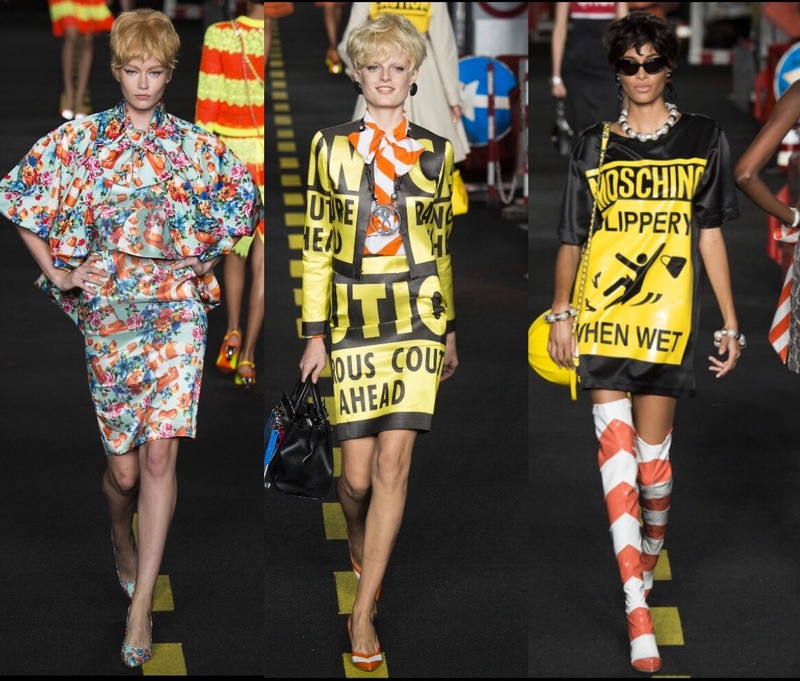 Taking even more of a literal approach to the theme behind the collection, caution and warning signs were printed on oversized tees and blazer suits. While construction-inspired caps and tool belts were the perfect accessory. What did you like the about the collection? Are you loving any of the pieces? 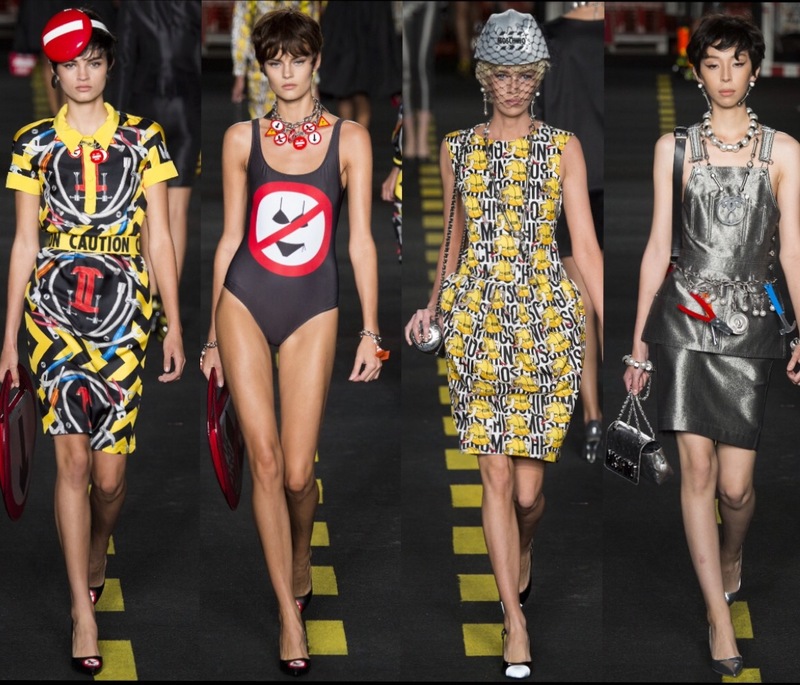 Tags: moschino, moschino spring 2016 runway review, runway review. Bookmark the permalink.